Why am I missing Dimensions or Metrics in Google Data Studio? 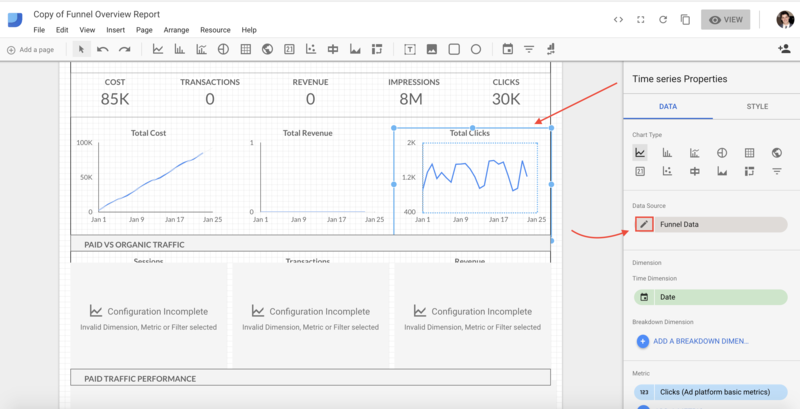 Problem finding metrics or dimensions in Google Data Studio? 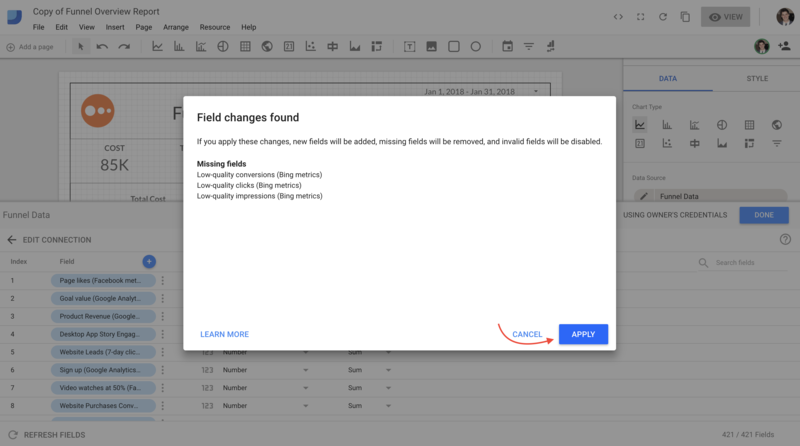 After connecting your Funnel account to Google Data Studio (GDS) the first time, you may make some changes to the Funnel account that you are pulling the data from. For example, you might create new custom dimensions or metrics, or even add new types of data sources that contain new native dimensions and metrics. These will not automatically show up as new fields in your report, but you can tell Data Studio to look for them! The first thing you are going to want to do is refresh fields. Click on any widget on your Google Data Studio report. On the right-hand side window, click the pencil icon to edit the Data Source connection. You will then be prompted of any missing fields. 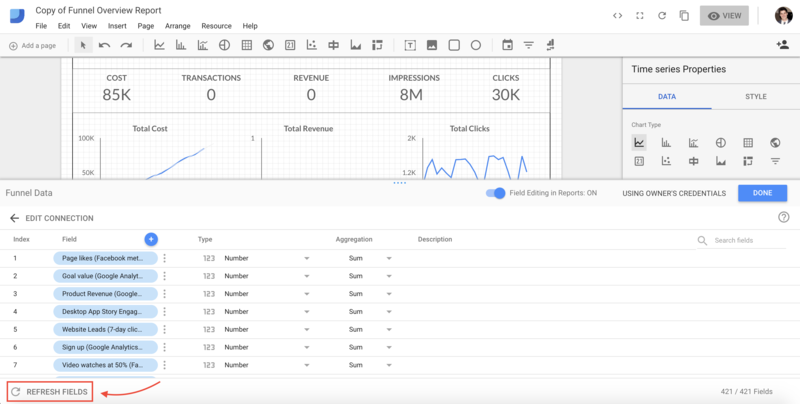 If you have some, hit Apply to bring those new fields into Google Data Studio. In this case, I have three new Bing metrics to bring in! If you still can't find your dimensions or metrics in Google Data Studio, please contact us!